Newport Jazz Weekend regrets that all venues, timings, and line-ups may be subject to change and/or cancellation. Any change or cancellation will be announced at the venue, on our website and social media, and, sadly, perhaps without compensation. It is the ticket holder's responsibility to check that the Jazz Weekend or any particular part of it has not been partially or wholly cancelled or rescheduled. If this happens we will tell you as soon as reasonably practicable on our website and social media and/or at the venues. Newport Jazz Weekend cannot refund money or exchange tickets, except in the case of a cancelled performance. Newport Jazz Weekend regrets that any tickets unclaimed or seats not taken within 30 minutes of the scheduled start of the performance may be released and re-sold. In the case of fully sold-out concerts, returns will be offered for re-sale on the day at the venue from the time of the scheduled start of the concert and for the next 30 minutes. The box office will then close. Under no circumstances are Newport Jazz Weekend tickets to be offered for resale above their face value. Right of Admission reserved - Newport Jazz Weekend reserves the right to refuse admission or eject a ticket holder. No animals (except guide/assistance dogs) are permitted into any Newport Jazz Weekend venue. Neither Newport Jazz Weekend nor the venue shall have any further liability beyond the face value of the ticket purchased plus the relevant Administration Fee. Photographic, video or audio reproduction of artists is prohibited without prior written permission from Newport Jazz Weekend. These Terms and Conditions are subject to change from time to time without notice and at our sole discretion. If you have special needs, including access, or want to be accompanied by your assistance animal, please contact the venue directly (details on our web site). Some venues have limited resources, so please give them a chance to help you by contacting them well in advance. Tickets will be available to purchase on the door at each event but only if there are any left! 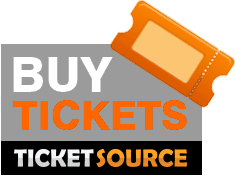 You can buy tickets on-line from TicketSource. Download and print this form which contains all the necessary details. For enquiries, please phone Willie Sanderson on 07785 785 440 or 01983 522171 (business hours please). Early Bird tickets are available until 15th April. There are limited numbers at all of the performances and tickets will be sold on a first come, first served basis.